A visit to Barcelona would be incomplete without a tour of the Picasso Museum in the lively pedestrian La Ribera district. Picasso’s work is arranged chronologically, giving a rare glimpse at the progression of this artistic genius. It is the finest Picasso collection in Spain, and the display of his early work is the most comprehensive in the world. That said, many of his most beloved masterpieces are in other museums around the world. Picasso was a native of the Andalusia region of southern Spain, and spent his formative years in Barcelona. His artistic father supported Pablo’s artistic pursuits, although their relationship was less than harmonious. Already recognized as a promising talent, at 16 his father and uncle sent him to study in Madrid at the Royal Academy of San Fernando. I sense even the name was a bit too stiff for Picasso’s tastes as he disliked formal education. Rather than attend classes, he rather spent hours at the Prado Museum studying the works of masters such as Diego Velázquez and Francisco Goya. After a trip to Paris in 1900, he soon left his beloved Spain, and his personal life and artistic expression grew though cultural exposure and associations with mentors and artistic contemporaries. As his work progressed, he constantly challenged the status quo of the art community, experimenting with style, materials, and expression of his concepts. 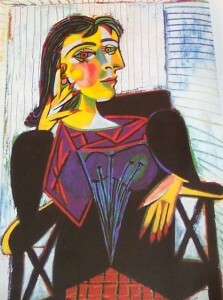 Picasso was not only a painter, but also sculptor, print-maker, potter, and I recently learned author and poet. He is most know for his avant-garde style and his enormous influence on the art world of the 20th century. 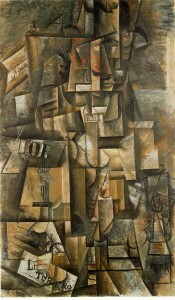 Along with Georges Braque, he is credited with the creation of the cubism style of painting. It’s one of my favs. Picasso’s painting “Guernica” is considered by many to be his most profound work and an immensely powerful political statement on the atrocities of war. The canvas is enormous, measuring 25.6’W x 11’H, and is actually at the Centro de Arte Reina Sofia Museum in Madrid. I mention it here, as no essay on Picasso would be complete without it. The compelling art was created in response to the horrors of the bombing of innocent civilians in the quiet market town. Franco had overtaken Spain, and gave his fascist ally, Hitler, permission to experiment with his weaponry. The world’s first saturation bombing raid on civilians was the result. Picasso never again returned to Franco occupied Spain. Having been a long time fan of Picasso, this year has been a real treat for me. I enjoyed so much of his work while in Spain. And earlier this year, The Virginia Museum, right here in “River City” (Richmond, Virginia), was host to a landmark Picasso show that was a dazzling display of over two hundred works. I discovered a new favorite painting in this exhibit- “Dora Maar.” Again, Picasso invented new style in creating a portrait from the front and profile views in the same image, and incorporated dramatic symbolism illustrating the personality of the subject. Picasso said “Give me a museum and I will fill it.” He certainly did that filling many! The enormous body of his work is tribute to his creative genius and the focus of nearly 80 of his 91 years devoted to his artistic life. Info below regarding Picasso’s Guernica is from Wikipedia. Guernica by Pablo Picasso. 1937. Oil on canvas. 349 cm × 776 cm. PICASSO, la exposición del Reina-Prado. Guernica is in the collection of Museo Reina Sofia, Madrid. The entire painting. 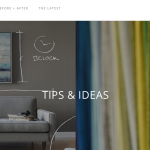 Because the image is a work of art, the entire image is needed to identify the artwork, properly convey the subject and meaning intended by the artist, and avoid misrepresenting the artwork. The copy is of sufficient resolution for commentary and identification but considerably lower resolution than the original. Copies made from it will be of inferior quality, unsuitable as a replacement for the original artwork. Copyright is likely held by Picasso’s estate, but this is not certain due to the unusual history surrounding this painting’s donation to the people of Spain. The image of Picasso’s Guernica is used solely for identification and educational purposes only.